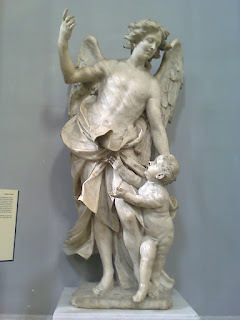 The painter, sculptor and architect Domenico Antonio Vaccaro, who created some notable sculptures and designed some of the finest churches and palaces around Naples in the early 18th century, was born in the great southern Italian city on June 3, 1678. Vaccaro was also an accomplished painter, but it is his architectural legacy for which he is most remembered. Among the famous churches attributed to Vaccaro are the Chiesa di San Michele Arcangelo, which overlooks Piazza Dante, and the Chiesa di Santa Maria della Concezione a Montecalvario, which can be found in the Spanish Quarter, while he completed the Chiesa di Santa Maria della Stella in the district of the same name. 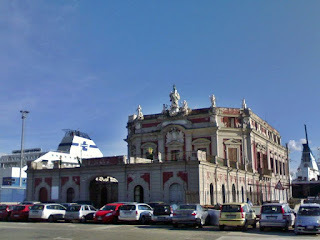 His notable palaces included the Palazzo Spinelli di Tarsia, just off Via Toledo, and the beautiful late Baroque palace, the Palazzo dell’Immacolatella, built on the water’s edge in the 1740s and now dwarfed by the enormous ocean-going ships that dock either side of it. Vaccaro was also responsible for finishing the carved obelisk topped by a bronze statue in Piazza di San Domenico Maggiore. He sculpted a statue of San Gennaro, the patron saint of Naples, in the city’s cathedral, a Guardian Angel in the nearby church of San Paolo Maggiore, a Moses in the church of San Ferdinando, and the statues of Penitence and Solitude for the former monastery of San Martino, now a museum. Vaccaro was the son of another accomplished painter, Lorenzo Vaccaro, who encouraged him to study for a legal career. However, he would often forego his studies in order to make drawings and in time his father accepted his passion could not be quelled. He began to work alongside his father and trained in the workshop of Francesco Solimena, a prolific painter of the Baroque era. He focussed largely on painting in his early years but gave evidence of the breadth of his talent when he was asked to redesign the church of San Michele Arcangelo in Anacapri, on the island of Capri, which was noted for its majolica floor. 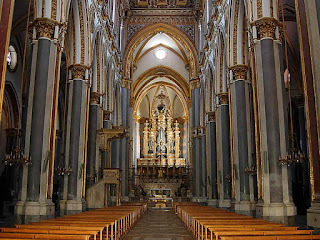 Vaccaro would later be responsible for the majolica cloister at the Basilica of Santa Chiara in Naples. He did less painting and more sculpture and design following the shocking murder of his father in 1706 at the family farm in Torre del Greco, seemingly by two paid assassins, although it was not established who had hired them. Vaccaro reached his artistic maturity following his father’s death and the commission to build the small church of Santa Maria della Concezione in Montecalvario came in 1718. The Palazzo dell’Immacolatella is widely recognised as one of the most interesting historical and artistic buildings in Naples. Commissioned by the Bourbon king Charles III, it was built as part of a restoration of the sea front between Castel Nuovo and Porta di Massa, and and initially stood on a peninsula connected to the mainland by two bridges. 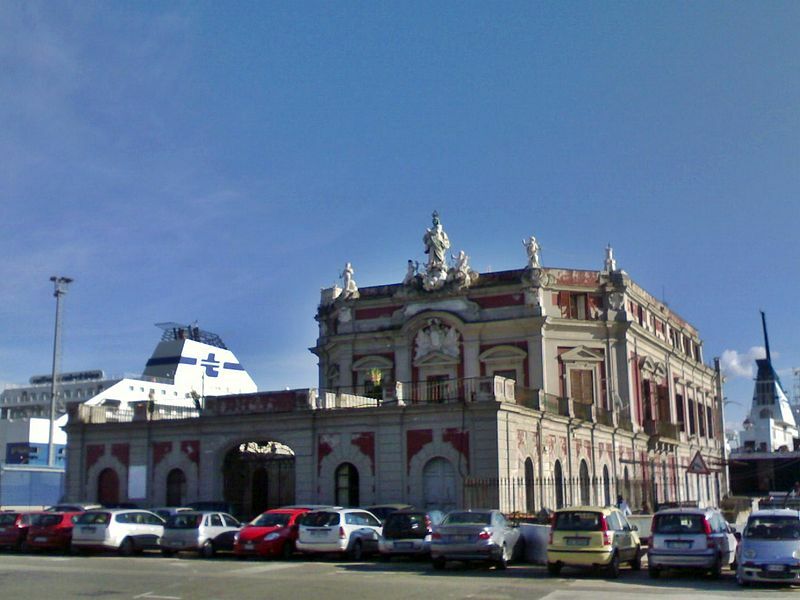 The building, which was to serve as a quarantine station, is characterized by the statue of the Virgin Mary at the front of the building at the top, attributed to Francesco Pagano. There are plans to restore the building, which currently does not have a purpose, as a museum. For a brief period in the 19th century, the palace was embellished with the Fountain of the Immacolatella, designed by Michelangelo Naccherino. It was relocated and now stands on the seaside road, via Nazario Sauro, near the Castel dell'Ovo, and is known now as the Fountain of the Giant. Vaccaro married to Giuseppina Pierro, with whom he had 10 children. From 1724 until his death in 1745 he lived in the Palace of Magnocavallo, in Via Francesco Girardi, near the Parco dei Quartieri Spagnoli. The Piazza di San Domenico Maggiore takes its name from the nearby church of San Domenico, founded by friars of the Dominican Order, built around another church on the same site dating back to the 10th century. The square is bordered by the long narrow street popularly known as Spaccanapoli, one of the three original east-to-west streets of the Greek city of Neapolis. 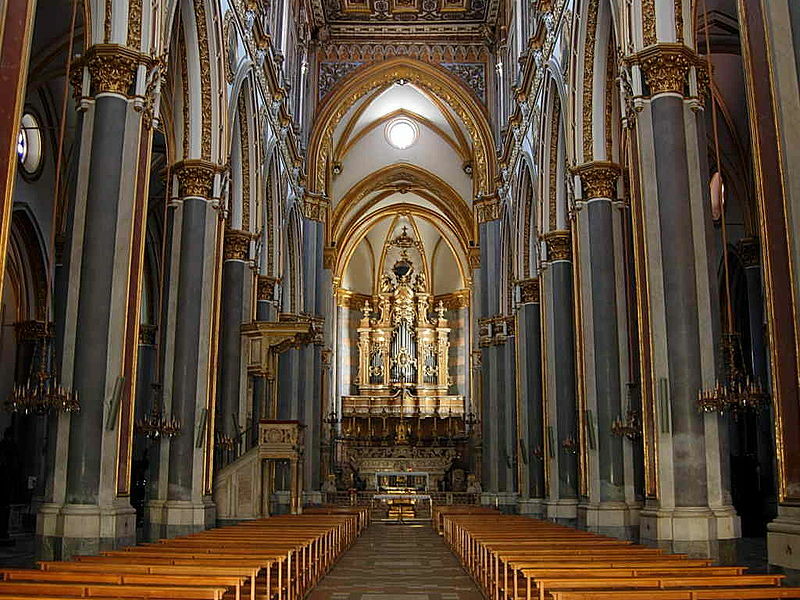 The adjoining monastery was the original seat of the University of Naples, where Saint Thomas Aquinas, a former member of the Dominican community, taught theology in 1272. 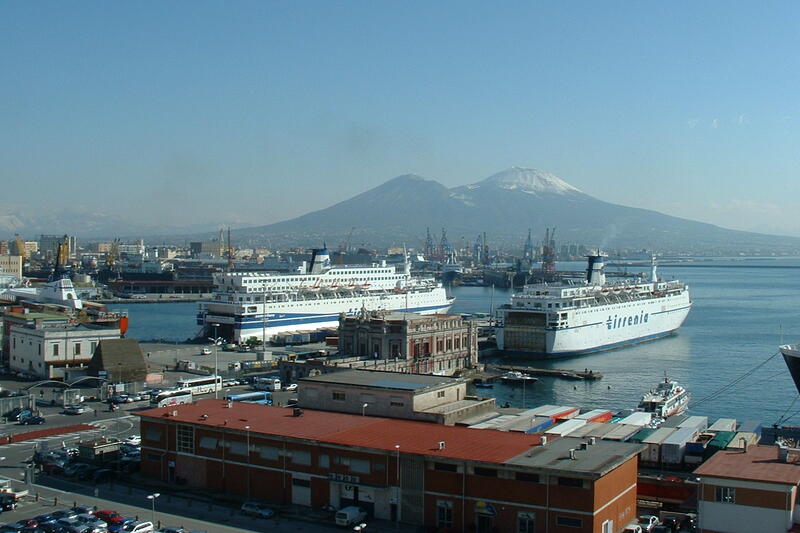 The Port of Naples is one of the largest Italian seaports and one of the largest on the Mediterranean, with an annual cargo traffic capacity of around 25 million tons and 500,000 container units, plus passenger traffic of some nine million people. As well as a regular procession of passenger cruise ships calling at Naples, the port provides ferry services for various destinations around the Bay of Naples, including the islands of Capri, Ischia and Procida, plus services to destinations further afield such as Sicily and Sardinia, the Aeolian Islands and Ponza.